The Soviet-Afghan War, or the “Soviet Vietnam” as some political analysts called it, was one of the key points in which the decaying superpower came one step closer to its demise. Starting out in December 1979 and dragging on for almost ten years, the conflict sucked the shaken Soviet economy dry. The war became a symbol of Soviet imperialism, as the local population fought fiercely against the occupying forces. This also led to a radicalization of the Afghans. Consequences of this radicalization echo to this day, for the country has not seen peace and stability for decades. In Russia, the war is considered controversial even today, but the Battle for Hill 3234 is remembered as a display of heroic actions by the elite 9th Company of the 345th Independent Guards Airborne Regiment. The battle took place during the last Soviet large-scale offensive called Operation Magistral. The city of Khost was partially or fully besieged for eight years by the Mujahedeen forces. In 1980, the Soviets garrisoned the town and used its airstrip extensively during an 8-year long period. The city was surrounded by Mujahid forces who were coordinated by the Pakistani secret service (ISI). They trained and supplied the rebels and developed complicated guerrilla tactics to overcome the technologically superior enemy. In the last months of 1987, the siege became unbearable as the Soviets in the city became completely detached from the rest of the army. Operation Magistral (the Highway) was a successful attempt to relieve the garrison in Khost city. 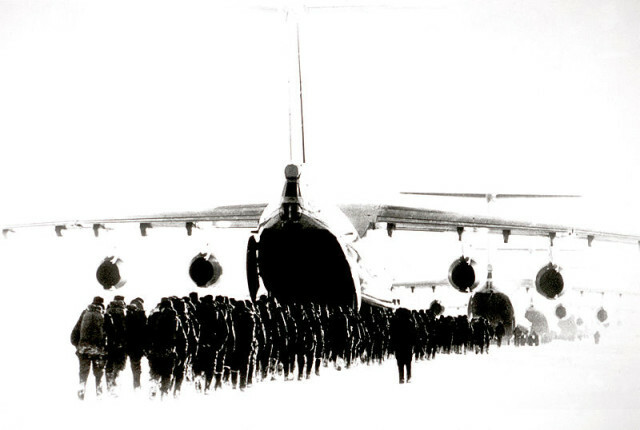 When the lines were stretched too thin, the Soviet command organized a daring operation to evacuate the men stranded in Khost city. All roads that connected Khost to DRA/Soviet areas were blocked, and the city depended on the helicopter lifeline. The Mujahedeen were in the hills that surrounded the city, waiting in ambush, while holding the city besieged. A view of Khost, Afghanistan in April 27th, 2010, in Khost province, Afghanistan. The highway between Gardez and Khost became a myth ― its defenders were often referred as “Ghosts” for their developed hit-and-run tactics. This was somewhat an invisible siege ― the Mujahedeen fighters were well hidden in the surrounding mountains and were always prepared to stage an ambush from using the high ground as ideal attack position. One of their main advantages was the extensive use of Stinger missiles, supplied by the CIA, equipped with an infrared homing system. This enabled the Mujahedeen to became the threat for the gunships which protected the convoys, thus leaving the ground troops helpless when ambushed from hilltops. In order to draw their fire, the Soviets tricked the Mujahedeen by conducting a false flag airborne landing operation. They sent a transport plane which appeared to be carrying paratroopers. 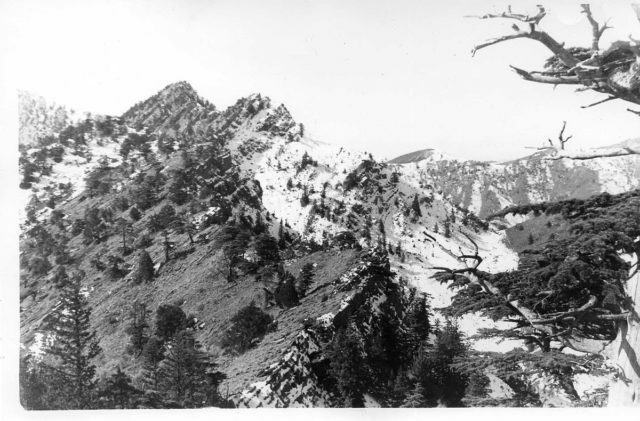 Above the transport, at much higher altitude, was a reconnaissance aircraft, photographing the locations. The Soviets threw a squad of dressed up mannequins which, at first, looked like paratroopers. The Afghans immediately opened fire, trying to kill as many of the paratroopers before they reached the ground. The scout plane sent the coordinates of the Mujahid positions and the Soviet artillery stationed nearby began a devastating barrage. Ilyushin Il-76 Candid transport aircraft loading paratroops. This was the first step towards breaking the siege of Khost and the first stage of the Operation Magistral. 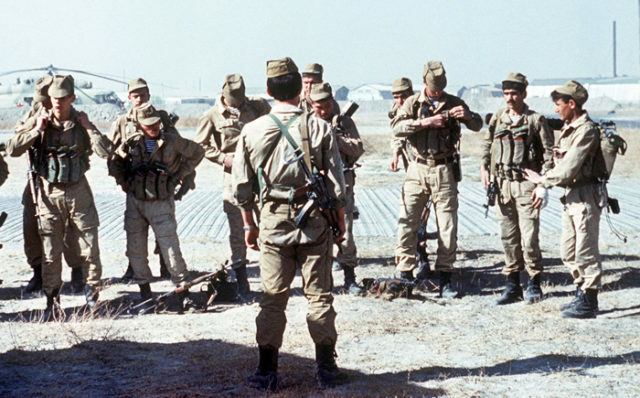 The Soviet High Command had suffered humiliation because of the unsuccessful campaigns led in Afghanistan; Operation Magistral was intended to rewrite that. If the Soviet-Afghan War was the Soviet Union’s Vietnam, then the battle for the Hill 3234 was their own FSB Ripcord. The notorious hill, named for its altitude of 3234 meters, became one of the most glorious symbols of the Soviet war effort. The potential of the successful defense by a small detachment of elite paratroopers against a numerically superior enemy was used in post-war propaganda to present the conflict as a victory of the Soviet Union in their liberating conquest to bring democracy to the backward tribes of Afghanistan. This nameless hill proved to be one of the most vital points for taking control over the “Highway of Death.” On January 7, 1988, 39 members of the 9th Company of the 345th Independent Guards Airborne Regiment were dropped by a helicopter over the hill. January 7 is the day the Russian Orthodox Christians celebrate Christmas, which added to the symbolic potential of the battle. Their mission was to secure the perimeter, dig in and hold the hill from which they could observe and control a large portion of the road that stretched beneath them and led to the besieged city. These 39 soldiers landed in the middle of the territory controlled by the infamous Jalaluddin Haqqani from the Hezbi Islami, whose troops were known for their cruelty. Jalaluddin Haqqani was the main link with the Pakistani secret service. 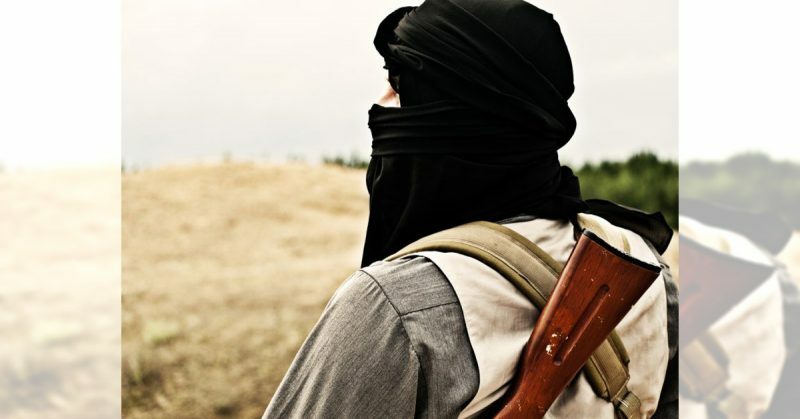 By the time that a defensive perimeter was established, Mujahedeen fighters launched an attack. 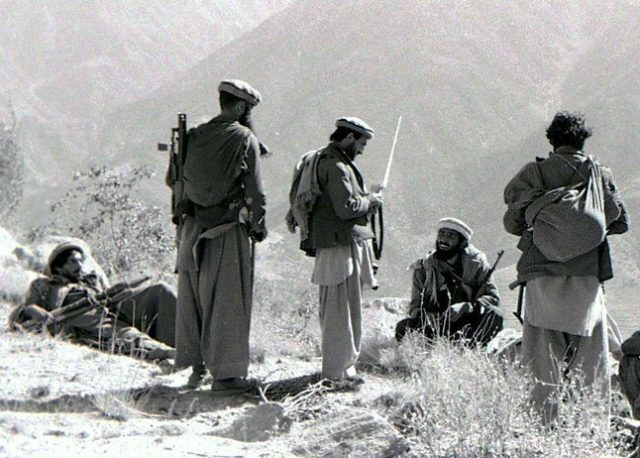 The Soviet detachment was made up of veteran fighters who were well acquainted with the tactics used by the Mujahedeen and their Pakistani advisors. Even though the Soviet paratroopers lacked heavy weaponry themselves, they received significant artillery support, for the Afghans pushed for the hill with their entire arsenal ― mortars, recoilless guns, Stingers, RPGs and DShk heavy machineguns. Fire rained down on the 39 defenders, but they didn’t lose their grip. As the artillery finished its barrage, it became obvious that the Mujahedeen were going to launch an infantry assault, using their numbers to overrun the hill. They attacked from two directions with a force of about 200-250 soldiers. This coordinated attack implied that these were not local villagers who took up arms to defend their homes, but an organized force with strong training and leadership. It was obvious they were fighting Jalaluddin Haqqani and the Pakistani-trained Mujahedeen. During the ensuing battle, the Soviet unit was in constant communication with headquarters and received everything the leadership of 40th Army had to offer in terms of artillery support, ammunition, reinforcements, and helicopter evacuation of the wounded. The Soviet commandos repelled 12 attacks while holding the hill. The fight ended at the dawn of the next day when the exhausted Mujahedeen forces decided to retreat. After the battle, many of the fallen Mujahideen were found wearing rectangular black-yellow-red striped uniforms, which indicated that the Pakistani SSG units were directly involved in the attack. Given the circumstances, Soviet losses were low ― just six out of 39 men were dead after this encounter. On the other hand, 28 of the remaining 33 men were injured. Two of the soldiers killed were posthumously awarded the Golden Star of the Hero of the Soviet Union ― the highest military honor of the Soviet Union. All men from the company received the Order of the Red Banner and the Order of the Red Star medals. The Mujahedeen casualties, according to Soviet sources, numbered around 200 dead and wounded. After the bodies were investigated and evidence was found of Pakistan’s involvement in the conflict, the Soviet Union appealed to UN, but this accusation remained largely unnoticed. The relations between two countries rapidly deteriorated during the war, reaching its lowest level after the battle for Hill 3234.